These visually enhanced models were then deployed to Embodee’s real-time 3D-rendering service and delivered to customers during their individual customization experiences. 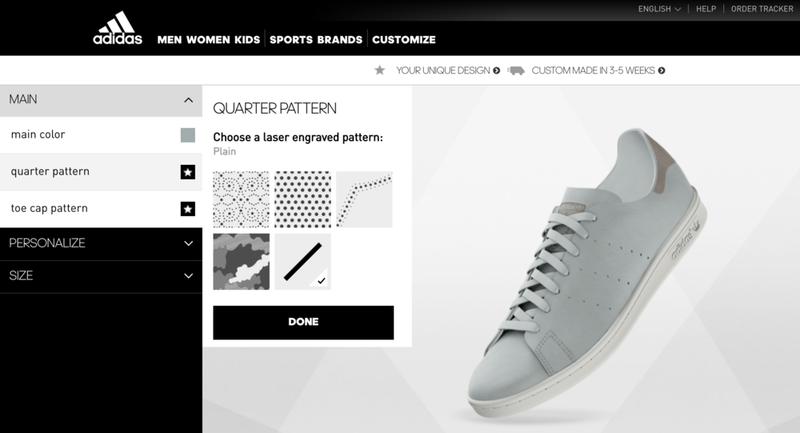 This process foregoes product photography altogether and replaces it with a tightly integrated 3D solution, saving adidas time and money while producing renderings of higher visual quality for their customers. The customization options include multiple colors for each of many shoe parts and, in some cases, the addition of lettering such as consumer’ names. Shoppers saw the first results of the adidas-Embodee collaboration earlier this month. Update: As of Jan. 8, 2018, the collaboration features dozens and dozens of customizable shoes.